Buy a gift card to let your friends and family pick! GlobalGiving is a non-profit that gives social entrepreneurs and local charities from anywhere in the world a chance to raise the money that they need to improve their communities. 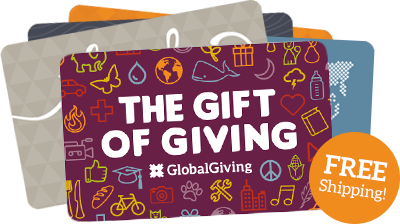 Give the gift of giving with a GlobalGiving Gift Card. Available in paper, ecard, and print-at-home.